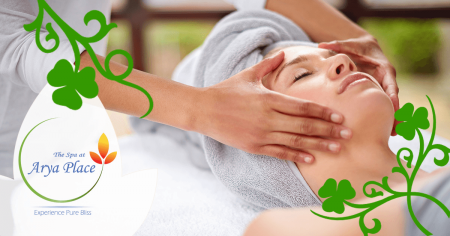 Purchase your choice of a 60-minute massage or 60-minute facial by March 17th and be entered to win one of three $100 Spa At Arya Place Gift Cards! Winners will be drawn on March 20, 2018 and notified by email. Treat yourself to a day of luxury at the brand new Spa At Arya Place and who knows?! You could win $100 Gift Card. Talk about Lucky! *valued at $99. offer only valid for first time clients.